Hi everyone. I hope you are doing well today. 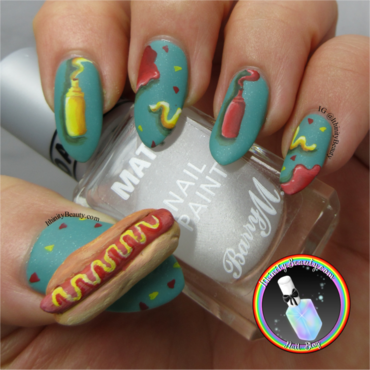 On my blog today I've another crazy 3D nail design, Look at that hot dog! I made and painted it using polymer clay and acrylic paints. Shame someone spilled sauce all over my other nails! http://bit.ly/2r4EA9k Have an awesome day!